We had to dig deep through the archives to find most of these lists. As you'll notice, some are scanned - others are typed. 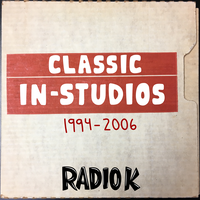 But this provides a thorough history of 24 years of opinions from Radio K listeners, DJs, staff, and volunteers about what was hot in music at the time. Enjoy!